Clinic Synopsis: The Importance of embouchure strength in the developing brass player including the importance of having efficient tools to facilitate proper embouchure development. The relationship between embouchure strength and tone quality, intonation, and range. Strategies students can build embouchure strength by understanding facial structure, muscles, aperture and embouchure and how much of it is involved in playing a brass instrument with flexibility and ease of facility. Clinician Biographical Information Terry Warburton is the President and Founder of Warburton Music Products. He started playing trumpet at the age of 14, later played trombone, and began performing professionally at a young age. Through his playing experiences, he developed a unique perspective into the needs of brass players. With more than 40 years of experience in manufacturing brass instrument mouthpieces, Terry is known worldwide for his quality work and ingenuity. Terry has also invented or had a hand in developing several developmental tools for both woodwind and brass players. While some of these tools were designed with the beginning or intermediate player in mind, advanced and professional-level players have also found them very useful. When he’s not working in the factory, Terry is attending conferences and industry events. He is regularly asked to speak and present clinics about his work and products at universities and industry conferences all over the world. Second Clinician Biographical Information Kim Aubuchon works closely with music educators, camps, competitions, and conferences, striving to make the Warburton line of products more accessible to students. Originally from St. Louis, Missouri, she earned her bachelor’s degree in music with an emphasis in business, along with a jazz minor at the University of Missouri–St. Louis. With more than 20 years of studying the trumpet, Kim has learned from some of the world’s greatest living trumpet teachers and performers. This lengthy list includes high-demand commercial artists such as Roger Ingram and Wayne Bergeron, as well as world-renowned symphony players such as Joshua McClure and Susan Slaughter. Before joining the Warburton team, Kim worked as the Educational Coordinator and Social Media Consultant for RogerIngram.com. She also worked as a freelance writer and an intern with both St. Louis Magazine and The Jazz Education Network. Third Clinician Biographical Information A native of New Jersey, Dr. Alexandra Zacharella is Director of Bands and Associate Professor of Low Brass at the University of Arkansas-Fort Smith. Zacharella holds a Doctorate of Music degree in trombone performance from the University of Southern California Thornton School of Music, with minors in conducting, music education and jazz studies; a Master of Music degree in Trombone Performance from The University of Michigan School of Music and a Bachelor of Music in Trombone Performance and Music Education from The University of Hartford, The Hartt School. Zacharella is currently an active low brass and wind ensemble clinician. She has presented clinics and masterclasses in South Korea, Hong Kong, California, Michigan, Georgia, Arkansas, and Oklahoma to name a few. Most recently she presented the plenary paper for the keynote performance of world-renowned trombonist and Conn-Selmer Artist Christian Lindberg, at the International Conference of the College Music Society in Sweden. 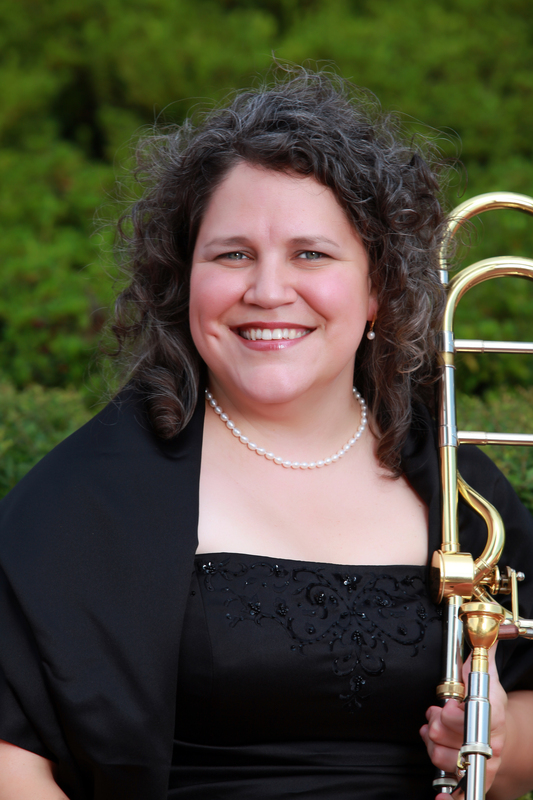 She has performed at the International Trombone Festivals in Spain, France, New York, Georgia, Texas and Las Vegas. Zacharella has also given a variety of presentations, poster sessions and performances at the International Conference of the College Music Society in Argentina and South Korea, at many National and Regional CMS Conferences throughout the United States, the 65th Annual Midwest Clinic in Chicago, the Arkansas Music Educators Conference, and the Arkansas Bandmasters Association Convention. Zacharella is a Bach Performing Artist and endorses Warburton Music Products.